HA NOI (VNS) — More than US$18 million will be spent on two new wetland conservation areas in northern Thai Binh Province and central Thua Thien Hue Province. The project, expected to take four years, was announced in Ha Noi on Wednesday. The areas announced were Tam Giang – Cau Hai in Thua Thien Hue Province and Thai Thuy in Thai Binh Province. The project's capital includes nearly $3.2 million financed by the Global Environment Fund through the United Nations Development Programme, with about $3.5 million from the Vietnamese government and other sources. The Ministry of Natural Resources and Environment will implement the project. 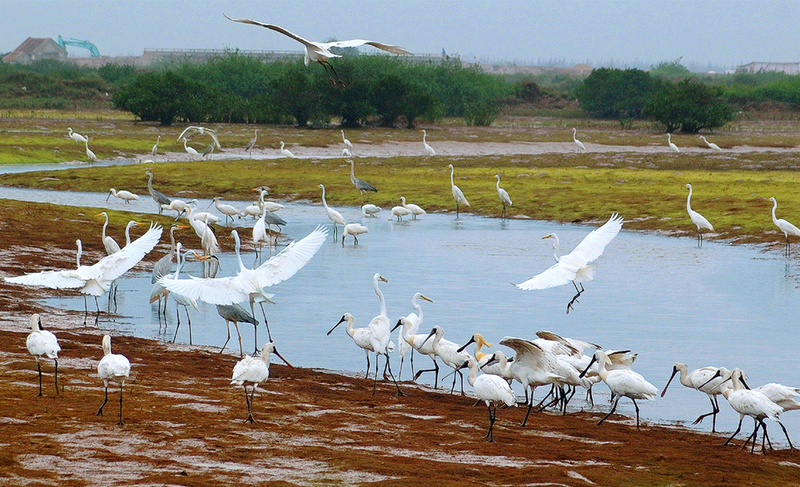 Nguyen The Chinh, head of the institute of strategy and policy on natural resources and environment said the project aimed to improve the abilities of the localities in protecting wetland areas. Chinh said that wetlands covered an estimated 30 per cent of the country's total land area, about 10 million of ha. However, the wetlands' biodiversity was found to be under threat from aqua-farming and the environment polluted by over fishing, he said. Establishing the conservation areas was imperative, he said. According to the World Wildlife Fund, wetland ecosystems play a vital role in food security and create good conditions for activities of various economic sectors. However, natural wetlands have been damaged by the use of land as fishponds or farmland. The projects' initial report, released yesterday, said the Vietnamese government determined that one of the long-term solutions to deal with damage to wetlands is strengthening management capacity for localities. Viet Nam now has six Ramsar sites including Con Dao and Tram Chim national parks.